It’s one of Social Security’s highest priorities to protect the privacy and security of the personal information we maintain on you and other Americans. You can rest assured that doing business with us online is both safe and secure. Security is our middle name and we take it seriously! The agency’s benefit programs are far-reaching and complex, which means that preventing, detecting, and combatting fraud, waste, and abuse are ongoing challenges. 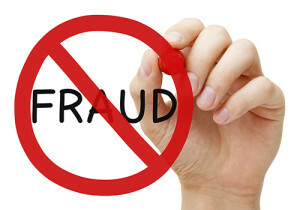 We can’t prevent every instance of fraud any more than law enforcement can prevent all crimes. However, we aggressively investigate potential instances of fraud and pursue prosecution of those who commit it. This is where we need your help the most. If you suspect fraud, report it online, or call the fraud hotline at 1-800-269-0271. On our website, we provide you valuable information about safeguarding against fraud, phishing scams, and protecting your identity. Visit today for more information. Also, visitwww.ncpw.gov to learn how to get free consumer education materials and read the latest from consumer protection experts.